Create a civic engagement lab in an underutilized parking lot in the downtown core that tests and tracks temporary interventions and activities designed to add vibrancy and increased pedestrian activity to the area. Lexington is a city of 300, 000 in the Bluegrass region of Kentucky and is renown for its music, bourbon and horse breeding. It is a centre of manufacturing, technology, and higher education, with an unemployment rate much lower than the national average. The Lexington Downtown Development Authority promotes physical and economic development that strengths and maintains downtown Lexington as a cultural and economic hub. 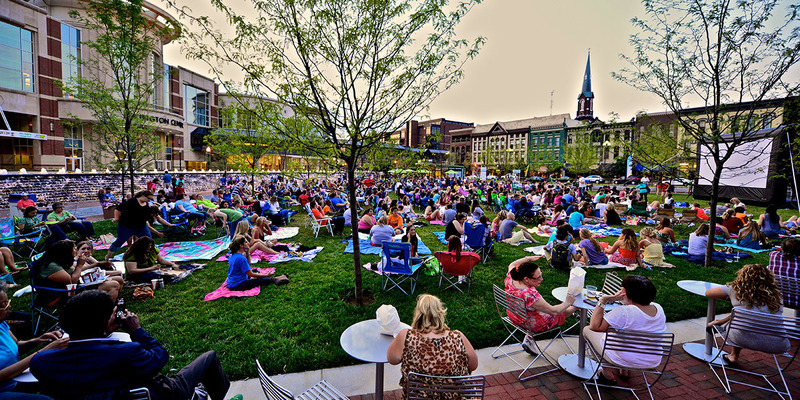 Step 1 – Community Engagement: In October of 2016, 8-80 Cities and the Lexington Downtown Development Authority collaborated to conduct 5 pop up community engagement hubs around Lexington over two days with the goal of better understanding what kinds of infrastructure and programming would be most desired in a new downtown park. 8 80 Cities planned the hubs, provided the engagement materials, including an online survey, and conducted the outreach efforts. The locations of the hubs were selected specifically to connect with as diverse a selection of residents as possible, including students, seniors, children, and transit users. 8 80 Cities created a summary report analyzing the data gathered. Step 2 – Workshopping the Space: In February of 2017, 8 80 Cities will organize a placemaking workshop with the Downtown Development Authority, geared towards City Staff, community stakeholders and potential programmers. The workshop’s goal is twofold, aiming to both encourage stakeholders to think and dream big about what a new public park could look like and to secure programming partners to help create and activate a pilot pop-up park. 8 80 Cities has assisted the Downtown Development Authority in the creation of the stakeholder participant list and will be creating the workshop agenda, and materials, as well as running the workshop itself. Step 3 – Piloting the Park: Spring of 2017 saw the data gathered by 8 80 Cities and the Downtown Development Authority put into action. A series of pilot interventions were created in the parking lot and transit center, transforming the space into an urban oasis for four weeks with programming activation. 8 80 Cities assisted the Downtown Development Authority in the creation of the pilot, and was on site assisting in gathering data on resident feedback. This data was compiled in a report by 8 80 Cities and fed into the larger plans for designing a permanent new public space in the parking lot.